Mechina are one of the most hardworking bands out there today, putting out an album almost every year and constantly trying to improve their material. With the release of 'Empyrean' I thought the band found their own niche. That is until 'Cepheus' was released earlier this year. The song demonstrated a far greater overhaul in sound, relying less on the symphonic elements and far more on heavy guitar work as well as more cohesive and well thought out songwriting. Now in 2014 'Xenon' is a full realization of everything that 'Cepheus' promised. From the moment the album starts one thing should become apparent; the mix on this album is spot on, there is a far greater emphasis on the crunch and heaviness of the guitars without losing the depth of the orchestra. The mixing of the album really emphasizes the direction of the album's sound; the guitars. While there were hints on 'Empyrean' and 'Conqueror' of other influences aside from Fear Factory, it's 'Xenon' where it feels Joe Tiberi is finally starting to open up in terms of guitar work. 'Empyrean' may have introduced the use of the nine string guitar to their sound but 'Xenon' feels like it was written for it. Huge melodic, semi-djent riffs open up songs like 'Terrea' and give them real heaviness and groove. On other occasions Tiberi successfully integrates the extra heaviness afforded by the ninth string into the more rhythmic Fear Factory-esque guitar work, particularly on 'Erebus'. 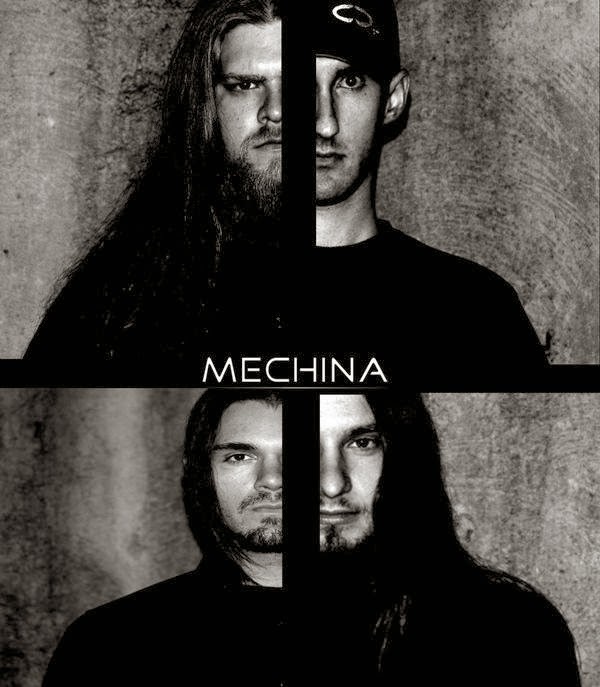 Even though this might be the best Mechina album musicially so far it still contains a few flaws.Some songs still suffer from the aimlessness and repetition that afflicted previous albums with the main casualties being 'Thales' and 'Amyntas,' while affecting few other songs in smaller doses (see the ending of 'Terrea'). Consequently the album feels too top heavy in nature. At other points the constant tinkering nature of Mechina's songwriting process can work against it as they sometimes add too much to the orchestral arrangements. Perhaps the biggest flaw lies in the lack of originality in the sound itself. 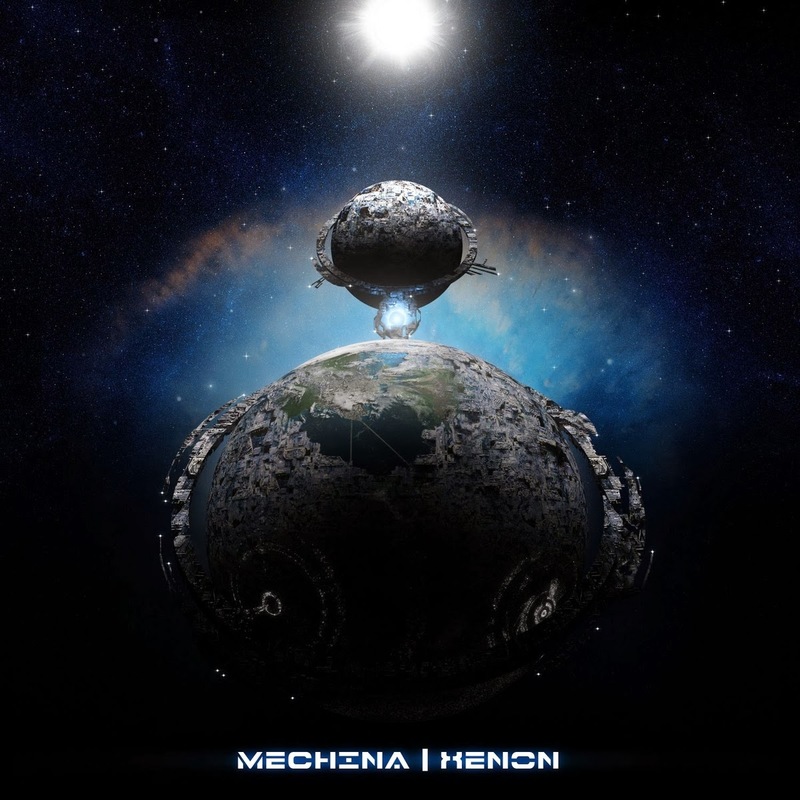 Mechina are inherently proud of their roots, displaying influences like a peacock showing it's plume, such as the little musical cues from films such as Tron Legacy and Prometheus that appear throughout. As well as they use these influences it still feels like Mechina are too rigidly adhering to a tried and tested formula and not thinking outside of the box enough, a step that's holding the band back from becoming truly original. For all it's flaws though this album is still Mechina's most consistent and well-balanced affair showcasing some of the best material they've ever written. It's also a defining moment for the band as while this may not be the most original album ever, it's the first album where they've managed to give a full portrait of their sound along with a few hints at a lot of potential for the future.